In fact, you might work or go to school right along side an athlete and not even know it…unless of course they show up on Monday morning with crutches or have to call off work due to a concussion they sustained over the weekend. Their racing pursuits are often unknown to others, or at best, their efforts to train and travel to races is a real head scratcher to ‘normal people’. Consider that traveling to, preparing for, and equipping yourself for racing is an expensive and time consuming endeavor. Many pro and almost all amateur athletes have real jobs outside of the sport as they have to support themselves and their passion (they do not receive enough from sponsors, etc. to just be full-time racers). They regularly take off for a weekend (or a week or more in the case of Professional Level Athletes) full of racing, returning to the office, or job site bright and early on Monday morning. US Boardercross B Team member Jonathan Cheever is a plumber in the off-seasons. Here he is in recent action at the X-Games. If you’re not familiar with Boardercross, you probably won’t recognize anyone in the movie trailer (even the Olympic medalists). But if you participate in the sport, you recognize everyone and even know some personally. John Teller, US Ski Cross Team member is an auto mechanic for the family business in Mammoth Lakes, CA and was the only SX competitor to represent the US at the Sochi Olympics. You can read an interview with him here. And check out his Vimeo Page. 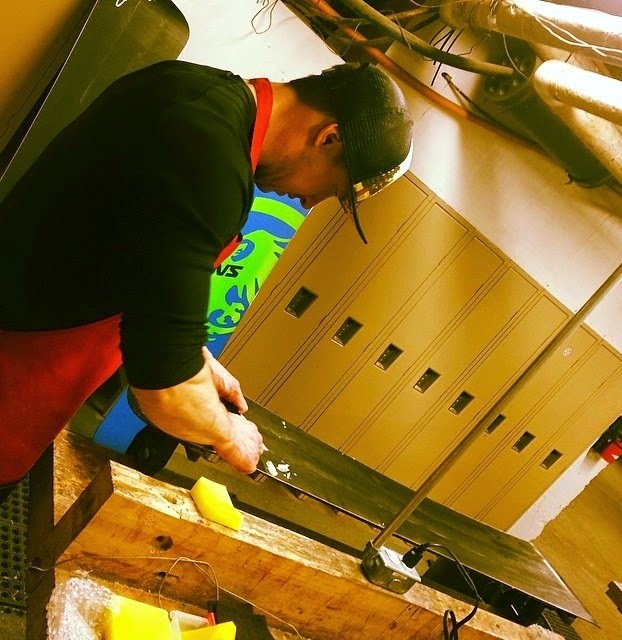 Boardercross Pro, Nick Langkamp (Langkamp Racing) runs his own full-time, stone installation business, PremierStone Installations. Injury list: broken wrist, concussions, shoulder surgery, broken ribs, knee ligament damage, ankle injuries, broken back. 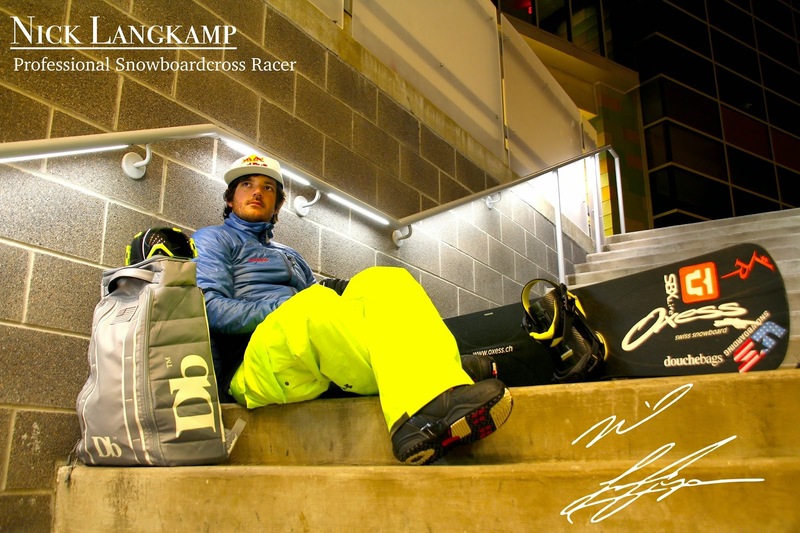 Clients who research his name find out about his racing which sparks conversation about snowboarding. Most think it’s cool but don’t really know what SBX racing is all about. His employees and co-workers are extremely supportive; including helping the cause with donations and other aid and think that what he’s doing is awesome. AleHakala, known to her work colleagues as a Research Scientist (Geochemist) for the U.S. Department of Energy, is also, at age 33, the current USASA Nationals Boardercross Champion in the Womens’ Masters Division (DaybreakCarve.com). Over the past few years, she’s also collected nearly 20 regional Gold Medals and a Nationals Silver Medal. Injury list: broken wrist, bruised tailbone, broken shoulder, knee tendon damage and a previous severe neck injury (prior to racing). “When I started racing, most people thought that all of competitive snowboarding involved a halfpipe.” Since entering her first race in 2011, her friends and family have learned more about SBX and are extremely supportive of her efforts. In fact, her husband, Nick, even tried out a few races last year. She says that all her friends think SBX is such a sick sport and love to hear about all the places she’s traveled and how the races went. “I’ve never had as much support for a sport in my whole life.” Most of her friends are jealous that she gets to go snowboarding so much every year. 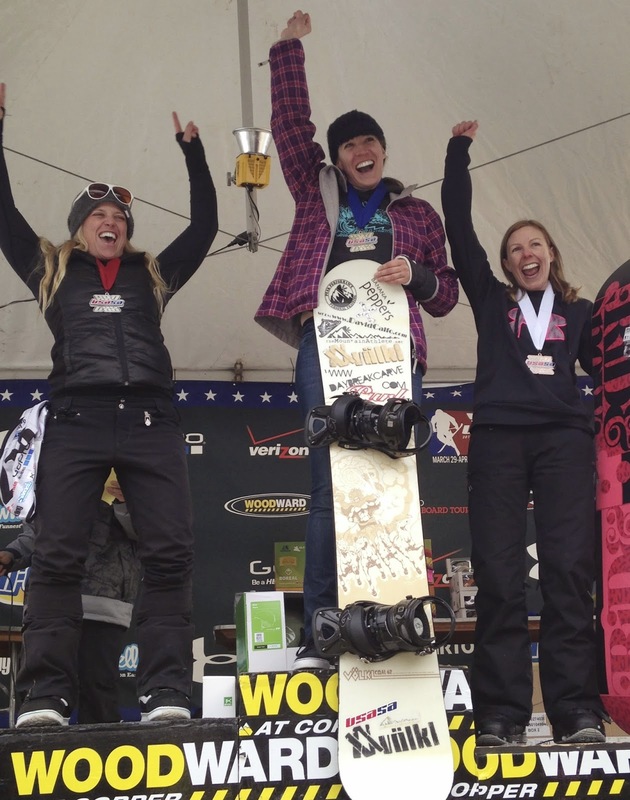 Anike scored a Bronze Medal in 2014 at USASA Nationals in the Womens’ Jams Division. So far we’ve got plumber, mechanic, home interior renovation specialist, scientist and student. How about adding insurance program developer and dentist to the list?